This week I am going to post some of the very basic recipes. So these posts are here to help newbie cooks in some small way. These will have more details than the normal posts to make cooking easy for newbies. Idli is one thing that I didn’t get right so many times. After continued efforts and focus, finally I am proud to say I can prepare good, soft yummy idlis. I have seen in most of non-Konkani homes, idli is usually served with both sambar and chutney. But in Konkani homes(atleast in those which I have seen), it is served either with sambar or chutney. At my home, aayi would prepare both to keep the house calm. I liked sambar and my brother liked chutney, if one of these was not prepared, we would start fighting. So it became a habit and now we want sambar and chutney both with idlis (I think this is the difficulty of having two kids :D). Idlis are one of the most popular South Indian Breakfast items. They are made of steamed lentils and rice. Soak dal for around 4-5 hours. Grind it to a very smooth paste (Do not add too much water, just add as much as needed). Touch the batter and no pieces of dal should be felt. The more it is ground, the better. Once it is ground very soft, some bubbles can be found on the surface, the more the bubbles, the better is the batter. Wash the rava with water(if rava is prepared at home, no need to wash it again) and grind it for 5-6 seconds, do not grind more than that, just to make the rava a bit fine. Some people, do not grind the rava, but most of the times the ready made rava is too coarse and grinding it makes the idlis turn out softer. If idli rava is not available, use 2 cups of rice instead. Soak rice for around 4-5 hrs. Then let the water go by spreading it on cloth for around 30mins. When all water is gone, grind(without any water) to a coarse powder (of coarse sand consistency). If you have more time in hand, grind the dal previous day afternoon and mix the rava in the night. Add salt and mix well (When dal is completely ground, the rava can be added to mixer and ground 5-6 seconds as explained earlier to speed up the process. But make sure the dal is completely ground before adding the rava). Keep the batter in a warm place overnight. I keep it on warm gas stove, after all the cooking is been finished. Check in the morning if the batter is fermented. The volume would have increased. If it looks same as the previous day, it is better not to steam it, the idlis become like stone and everything has to be discarded. Instead make some dosas with the batter. There is no point in keeping it for one more night, because the idlis will become sour. Grease the idli stand with oil. Steam them for around 10mins (if using cooker, do not use the weight). Leave it for around 5-10mins before opening the steamer/cooker (or else, the steam falls on idlis and make them mushy). – If you are on a higher altitude(mountain regions) and the idlis are not coming out as expected, try using dal, rice rava in 1:3(1 dal 3 rava) proportion. This is the tip I got from Manisha while talking to her a few days back. Read Manisha’s comment below for more details. – If the batter becomes too thick or too watery, the idlis might not come as expected. Do a bit of trial and error to know the correct consistency. – If nothing works, try using dal:rava in 1:1 proportion, this was the tip I got from few people when I was not getting the proper idlis. – Sudha has mentioned a nice way to speed up fermentation. – Add a little cooked rice (say 1-2 tbsps) while grinding urad dal (once the urad dal is ground finely)in order to make the idlis softer & fluffier (Thanks Suchita for the tip). Prepare sambar as explained here. Prepare the chutney as explained here. Sometimes I make mini idlis and serve them dipped in sambar with a dollop of ghee on top. Idly is my favourite breakfast,lunch,dinner. I do make idlis by using rava but i will add 2rava :1 urad dal. Hi Shilpa…Nice way of explaining how to make a typical South Indian breakfast. I too try making here idlis here once a week, but very rarely the batter ferments. I was told by my neighbours that since the apartment complex is surrounded by large pine trees, the place is always cool, so the batter never ferments here. I land up making onion utappas. I have also herad from one of my south Indian friends that they add a tsp of methi seeds. Need to find out abt the same. Thanks for the posting. Btw, I too have been making a lot of idlis these days. Also been experimenting with it. Let’s see when I can publish them. Vineela, yes, I too use the daal:rava in 1:2 proportion. May be I confused everyone by writing abt so many different proportions in one post :). Aruna, keep the batter on hot stove or as Sudha has mentioned in her post(see the link), keep it in preheated oven or keep in hot water as mentioned by Shynee. Check Suchita’s comment above. I am sure the fermentation problem will get solved if you follow one of these. Methi seeds are added to give extra flavour to the idlis. Thanks Suchita for that tip. I will update the post with it. Vaish, I will be waiting for that post. Please post it soon. Shynee, I linked your post also in mine. Thanks for reminding me, I had not seen your post when I was writing this yesterday. Hey! I am so glad your idlis finally worked out!! Woo hoo! Idlis are *the* welcoming meal in my home for all out-if-town visitors. I was very upset when my 1 urad dal : 2 idli rava wouldn’t work when we moved to Louisville, which is about 5300ft in altitude. I have made idlis in cold and frigid winter conditions and it always worked because I did the warm oven thing. I would put my oven on warm for 5 minutes. Turn it off, put the batter inside making sure that there is a large platter under the pots, to avoid a messy spill in the oven if the batter rises too much. And I would leave the oven lamp on. If possible, I would turn the pot around periodically just to ensure that one side of the pot didn’t get ‘overheated.’ It also helps to do this process in a steel pot or container as it retains heat a little longer. If you need to speed up the process a bit, warm the oven for 2-3 minutes and turn it off. Do this every couple of hours. But nothing helped in Colorado. There were two factors at play: the altitude and the extremely dry weather. It was getting enough warmth. I didn’t try adding cooked rice but I did increase the proportion to 1 urad dal : 3 idli rava. I then found the warmest room in the house – my daughter’s room – it’s really toasty and warm because it’s right above the utility room. (Warm closets or a closet that is right by the water heater or furnace also works very well.) And I kept the batter there on the wooden floor with a plastic sheet under it. And by the next morning, it had fermented beautifully! The idlis were soft and fluffy and simply delicious. I hope to make an idli mania post soon, too! We’re crazy about idlis. My daughter can subsist only on idlis! I, too, add about methi seeds but not 1 tsp; more like 1/4 to 1/2 tsp at most. It imparts a wonderful flavor. No harm done if you don’t add them. 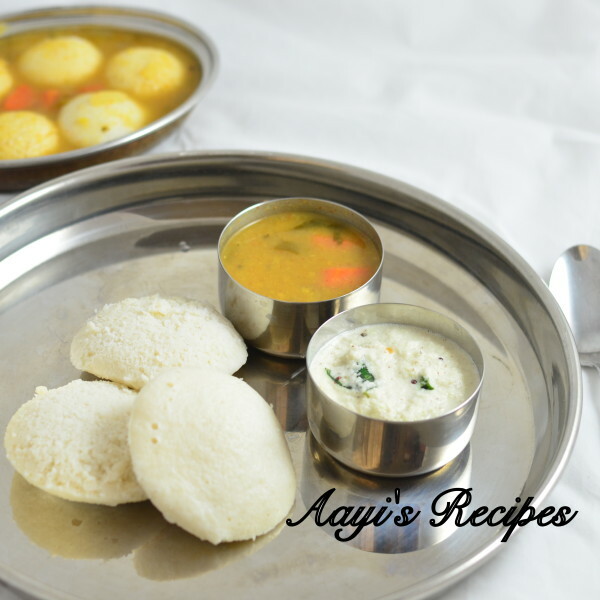 Great post on idlis, Shilpa! Thanks much for this explanation. I am in Fort Collins, CO and a around the same altitude as you are. I have given up trying to make this idli. rava idlis work out just fine. But I now understand getting the temps up for the right fermentation is important. I have been making yogurt for the last year or so and may be now I will succeed with these idlis. i love idlis but am lousy at making them. so really appreciate a word from the master on it. I’ve only tried once or twice for idlis and found the texture was ok, but I never got bubbles or expanding batter… I’ll have to try again with your recipe and great instructions. Thanks Manisha for those tips :). Shaheen, try the idlis now and if my tips have helped you a bit also, I would be very very happy :). Linda, thanks a lot. I will be waiting to see your idli success stories :D.
Very detailed explanation. Regarding the sambar, I’m surprised that you don’t use a souring agent like tamarind. Other than a particular type of sambar, poricha kozhambu, all sambars in Tamilnadu have tamarind. Vidya, I always use either tamarind or tomato as a souring agent. Preferably I use tomato. If it is not available, tamarind can be used. Hi..can you share the procedure to make Ragi Idlis or Dosas? I have readymade ragi flour. Can idlis be made out of that? can you post how to prepare ragi idli/dosa ? Sure Ameeta. I will post them soon. I had tamil idli’s once at a wedding, they were pure white in colour and were super soft and yummy, anyone have a recipe for that? Is it the same 1:3 dal:rice proportion? i asked one of my friend’s the recipie & she said that her idli’s were soft because she bought her idli rava from India! Thanks Shilpa my idlies turned out GREAT! When the batter is not fermented,especially in winter, I have used dry yeast (dissolved in warm water with a tsp of sugar,allow this mixture to froth ,it will take 10-15mins)mixed in batter just 2-3 hrs before steaming Idlis.This method yields soft and fluffy ones.The taste remains the same. can anybody tell me what to do to make fluffy idli in over? whey i prepare idli in normal idli maker, it becomes very fluffy but i cant get the same result in over idli maker. pls give some useful tip for this. Thanks for sharing such wonderful things. i would like to introduce one more thing in the idli making. hey shilpa. m noting down your idli recipe. its very detailed and the pics are v good as indicators for beginners. Keep it up. Love amchigele food. hai ! thank to explain dish like this its good to me…. hi, i want the correct proprotion of idli batter consistency because i will prepare idli very hard & thick why this fault? pl send me correct batter level & also correct method of grinding it. Shilpa: Harini, I think your batter is not fermented well. Just make sure the dal is ground very fine..till there are many bubbles on top. Grind it in afternoon and mix rice rava in the night. Make the idlis next day. hi, one doubt..? u mean rice rava, it’s grinded parboiled rice / instant idli rava can u give me rice & dal proprotion for both idli & dosa batter? thank u mam… happydiwali..
Shilpa: Shilpa, if your rava is very coarse, slightly grind it to make it a bit fine (do not make powder, just 1 or 2 rounds in mixie). Then mix it with urad dal. I have never added soda or yeast to my idlis and I don’t prefer adding them. Refer my post above and all the comments to get some good tips. After mixing rava and dal, you should leave it for atleast 7-8hrs for fermentation. So adding rava at the time of steaming won’t work. If the batter is too thick, sometimes the idlis come out hard. So try making it a bit thin. If the fermentation has happened well, I don’t see any reason for idlis to come out hard. wanted to ask you a silly question….can we use steel utensil in baking oven…. as the weather is cold….the dosa batter does not ferment….so thinking of using the oven fermentation method… but i’m not sure where i can use steel cookware in it or not? Shilpa: Sowmya, I have kept steal vessels in oven before. But then the oven was just preheat on a very low temperature and switched off. I usually don’t prefer keeping steal in oven when it is on. These days I keep the steel vessel in oven and leave the oven light on. Shilpa: Farhath, please refer to comment #34 below by Aruna. I just happened to read your comment. I have done idli a couple of times in microwave, it is not as tasty as the steamed, but serves the purpose. It has to be kept for at least 4 min. One important thing it does not come out well if the batter is not fermented. Fermentation is best if you keep dough near gas heater if you have one overnight, as I am doing right now these days in old apartment (see my blogsite). other way is my wife, KGirl, keeps overnight on the heating pad low setting warm. Heating pads are available at drug stores, walmart or target. This method works all the time. Best we found method is to grind in stone grinder (like Lakshmi, Shanta). Grind Soaked Urid separately to fine paste, takes half an hour as it becomes fluffy and fermenting bacteria gets oxygen more easily. Then grind two hour soaked Rice(long grain, not Basmati) coarse one should feel like sand on fingers.Idli rava comes out hard all the time for us.After trying so many different ways, we are really enjoying soft idlis consistently even thou it is our age-old style and it is worth it. cook toor dal with turmeric powder. heat oil in pan and add mustard seeds, fenugreek seeds, and cumin seeds. then add green chillies, curry leaves and asofetida powder then add chopped onions,fry it and then add tomatoes saute it well. then add chopped vegs (carrot, potatoes, brinjal). add salt and cooked toordal with some water.cover the pan till the veg get cooked. in the mean time fry 2 chillies, 1tbsp coriander seeds, 1-2 tbsp chana dal, 4-5 black pepper, some amt of cumin seeds ,fenugreek seeds without oil and powdered it. mix the powder with little water and pour it in to the sambar. stir it well boil it for 2mins. take mini idlis pour this sambar on idlis add some ghee and coriander leaves serve it hot. waiting for ur comment. The idlis in the picture above are a unique shape, where did you get the idli vessel from?. Shilpa: They are small steel bowls I got from India. Shilpa: Clarence, it looks like your idli/dosa batter did not ferment well. I hope you left the batter for fermentation overnight. But if it is very cold weather usually the batter does not rise. So you have to either keep it in hot water, warm stove or a oven(gas oven does not work, you should use electric oven) with the oven light on. If your batter looks the same volume as the previous night, you can assume it didn’t work out. For very fluffy idlis, the batter should become about twice in volume. According to my experience salt should be added when you grind. Hope you have read my post here properly. Where did you buy urad dal in Edmonton? I try to find a good place to buy from. I leave far from most of the stores and it seems a drag to go an try each of them. If I know where I find for sure I’ll make a trip. it is not with idly rawa,but with rice itself. soak for atleast 6 hours together and grind with salt. the batter should be very fine. keep for atleast 8 hours.the idly will be very soft. This is the 1st time, I have been on this sight, and would like to share my experience, if the idlis batter for some reason does not turn out right and you have everything else, take portions of the batter that yo are going to steam, add eno fruit salt a pinch and stir it in the batter, the batter just fluffs ups, then put it in the idli girdle and make steam them. Fruit salt will only help digestion , so one should not have a problem, you can do the same, in dosa’s, dhokla,s etc. I liked the Idli recipes. Back in IndiaI was using wet grinder and used to get very nice soft idlies. But after coming to US, I am missing that very badly. Myself and my husband just love ldli for the breakfast. I will try this recipe and I think adding cooked rice will help to get soft idlis. Even beaten rice will also do. My friends who are using mixer to grind the idli batter, add beaten rice. You have done a very good job. Though I havent tried any of the dishes i am too sure it will be good.Surely i will start my cooking lessons thru ur recipes. I wanted to the prepairing method coconut chutney but I chould not find the same. Please if you can mail the chutney prepairing method I will be thankfull to you . Shilpa: There is a link just below the chutney picture. Please click it. hi shilpa…ths a great place for food lovers..and besides you are a wonderful woman,i really mean it..all the best to u in life..
i read your post on idly making..i had a doubt to clarify..
i am from palakkad in kerala…there we do not use this rice rava..we soak the urad dal and idly rice seperately (1:3 ratio) for about 6 hours and then grind them seperately..the rice should be ground a little coarsely and urad dal should be a fine paste having thick cosistency..then mix them together using your hands with enough salt and keep in a warm place for 12 hours..i used to get really soft idly like this..
is using rava a true blue konkani style or is that the authentic way? Shilpa: No Dhanya, its not traditional style. I use it because its must faster for me to make the batter. My mom makes it with rice like you mentioned most of the times, but she takes the short cut sometimes too. Its from her I learnt this way. But we normally use 1:2 ratio. I tried idli with Idli Rava.. It came out really good and soft. Generally I try with Idli rice. With idli rava the taste is really gud. Yours tips for batter frementation were reallly good. The chutney came out very nice. Thanks a lot :-), now got to work on the Idli !!! I really appreciate the details and tips on this site. This is my kind of way of giving recipes. Like getting answers to ones unasked questions! Keep it up! WHERE DO YOU GET AN IDLI COOKER THAT MAKES THE SHAPE AS IN THE PICTURE? Shilpa: I got these small steel bowls from India. Probably you would get them in Indian stores / any where where steel vessels are sold. in a tadka of curry leaves, jeera and one red chilli, fry the veggies on simmer flame. Add sambar powder and let it coat the veggies well. Let the aroma fill the home. now add little water and let it cook on slow fire all the way. Prepare tamarind extract. Mash the dal. Add the dal to the veggies and once veggies are cooked then add the tamarind extract and salt (as both of them hinder cooking of veggies). You could even add a dash of ghee in the very end and turn off the gas and serve. This is the 1st time i am visiting your blog & really loved your simple recipes. I dont blog but i m a avid foodie so keep on looking at other blogs for some nice recipes. I saw somw of ur breakfst recipes & it was nice to see that u hav kept it so simple.Even my recipe for dosa , idli & rava idli is the same. I am surely subscribe to ur mail so that i can keep a check on ur recipes. to make sambar for idli should ‘nt weadd tamarind extract? sambar powder of any kind sold in the market can be added??? Shilpa: Usha, usually, if I add tomato, I don’t add tamarind as both act as souring agents. Its just personal choice. You can add tamarind if you like it more sour. Yes, any sambar powder can be used. idlis can also be made softer by grinding soaked avalakki instead of cooked rice. Great job, this is the first time I landed here and am liking your blog. I think we can speed up frementation for Idli or Dosa using yeast (available in market). Take about 2 spoons of yeast in a small bowl and add warm water, mix it well. Now, add this yeast mixture to the batter. In 2-3 hours the batter will be ready to make idly or Dosa. Shilpa: It is personal choice ushapriya. When we add tomatoes, we normally avoid tamarind as both act as souring agent. You can add it if you want. hi,just a small tip.once you soak urad dal keep it in refridgerator.then take out when you need to grind.add cold water to grind urad dal.certainly it makes idly a little nore softer. In the recipe for sambar ,don’t u have to put in tamarind ?I have known making sambar with tamrind water….urs sounds a little diff…. Shilpa: I normally use one souring agent – tomato or tamarind. You can use both if u want. This is my version of idli. it’s big hit as it is so soft. For every 1 cup or rice, 1/4 cup of urad dal, and 2 tbsp. of poha. Soak , grind it to a smooth paste and ferment it to make cotton soft idlis. Once i tried this I got hooked to it. hi padma which type of rice do u use? Hello dear shilpa mam!If i dont have a idli maker can I make idlis in other utensil ? Please reply it fast I am really very exited to try your lovely idli making reciepe. To ferment idli batter add 1tsp of eno( fruit salt) just before pouring it to the idli plate…..and mix well this will instantly ferments the batter…..u can follow the same thing while making dosa or dokla etc….. Thanks for the special recipe of Sambar which has many variants. I appreciate Ms Shilpa for for her keen observations and tips given. Thank you for taking pain to post this recipe. We usualy add tumerind syrup for taste. But shilpa didn’t said about that. Thank you onece again. 1. To make softer idlis, soak 5-8 gms of fenugreek seeds ( methi ) along with urad dal ( for a ratio of 4 cups boild rice to 1 cup urad dal ). Methi is also good for diabetic cases. 2. along with sambhar / chutney , gunpowder ( milagai podi is also a side dish that is very famous and prevalent. A paste is formed in the plate while serving idlis/ dosas with dry milagai podi powder along with gingely oil ( til ka tel ). Other oils can also be used as per vernacular tastes. For preparation of milagai podi powder you can visit any site by using the same name in google search. I tried this recipe yesterday and it came out really soft n nice..
Shilpakka do you have the receipie for the GUNPOWDER CHUTNEY? Shilpa: I don’t have as of now. But will surely look for it. hi shilpa,Here’s the recipe for gun powder asked by Rajesh. Put them in the hotkadai together later and add red chillies,asafoetida and salt and turn off the flame. Shabana, could you please elaborate? What is the ratio you used? Soak all for around 4-5 hours. Grind it to a paste but not to fine paste it should be just like fine Rava paste. Keep the batter in a warm place overnight. Check in the morning if the batter is fermented. The volume would have increased. then make the idlis in idli cooker. hi idli receipe is same as i do.but sambar is little different.there is no tamarind in sambar.if u put little tamarind juice,it ll b more tasty nd traditional. Hi what do you mean by 1 Cup Boiled Rice (Ukdya Tandul)… please explain. What Anusha meant by ‘Idli pindi’ is ‘Idli batter’. In Telugu they call it as Idli pindi 🙂 Hope this helps.. Correct me if am wrong! Lovely receipe Shilpa.. Ur website is really a boon to me who hardly knew cooking! Thanks vbg, but I have already mentioned how to make the batter if idli rava is not available. So, I did not understand what she is asking. I dont have a very good mixer, so the batter has not become very smooth, it feels little coarse to touch. Will it make good idlis? i want make best idli and dosa for my south indian restaurant please suggest me how to make best dosa and idli. Hi thanks for this opportunity to try to get good idlis. I was wondering if you soak the rice rava before adding to the urad dhal.Also i am not sure about the thickness of batter. Can i try a smsll batch first and if it does not come out well can i then add some more water to batter, or should the consistency be correct before fermenting itself? Many thanks. today for breakfast i tried this excellent recipie. It came out very very nice. Specially idlis turned out very soft. Thanks for sharing this recipes. 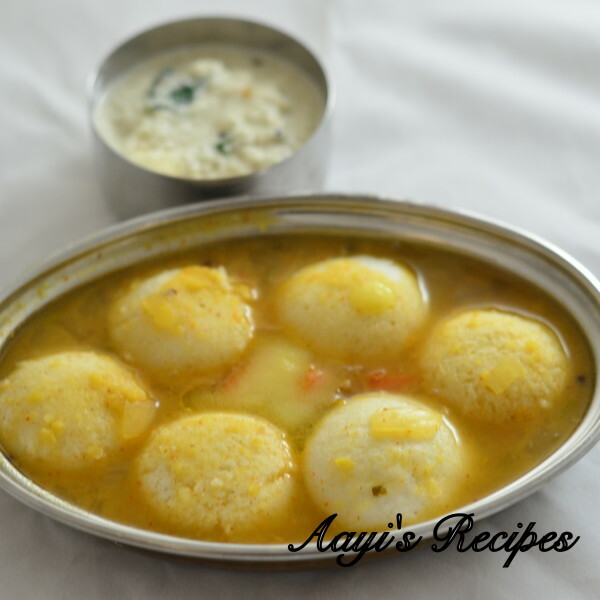 You recipee was easy but missing on some basic detail that a lot of me NRI’s need help on…since making idly for someone like me is more of an event than a regular food item. Should the rava be soaked? How long. Should it be soaked together? Should one add water once the batter ferments? If yes or no, why? How should one mix the water – rough or slow? Normally we see in many recipes about these cups. what is the capacity of cup? I am looking for a good idli-dosa grinder. Any suggestions would be helpful. 1 cup = 200 ml or 200g. Correct me if I am wrong. And If anyone is using rice to make Idli/dosa, use only “Idli rice” and not ordinary ones. My ratio is 1:4 (urad dhal:idli rice) with 2 tbsp fenugreek seeds. Soak and grind seperately. Before fermenting, add 1/4 tsp baking powder.You will get soft idlis. Hi…just wanted to say…my aai (God rest her soul) made the most fabulous idli’s…your pics reminded me of them. thanks. Amazing recipes. I visit your blog quite often to find authentic NK recipes. I usually follow Amma’s recipes [we are also Konkanis], but your website allows me to add a new twist to my cooking. 🙂 Thanks and keep the recipes coming. In this recipe, is there any way to cook the onions and other veggies on the stove rather than cooker. I often don’t have enough place in my cooker, since I keep rice, dal together. Thanks! Shilpa, The recipe for sambar is amazing. I just tried it out. I had asked a question in my previous rating, and I answered it myself by doing it today- I cooked the veggies [onions, tomato and potato stovetop]. Anyways, this is amazingly simple and yummy. Thanks so much! I usually follow Amma’s recipes [we are also Konkani] but this gave me a simpler way of making. I used MTR sambar powder and it turned out awesome. Thanks for the perfect / detailed directions to prepare Idlis. I just made the Sambar using your Sambar masala…and it turned out great….Thanks a million. I just cant stop eating it. Also, making Idli in the evening as its fermenting right now. Will let you know how it turns out. IT LOOKS DELICIOUS. I LIKE IT. I COOKED IT YESTERDAY, AND MY FAMILY ATE THEM ALL. this is govind i love to eat idlli…. I tried this method a couple of times to speed up the fermentation process in cold days. I put tava on gas burner and keep hot pot stand on the tava and keep the idli batter pot on top of the stand. now put on the gas and heat the tava for few minutes..5-7 mins sufficient. This will give the required warmth to the batter for speedy fermentation. If required repeat this process after few hours. It definitely worked for me. heyy…………………plz anyone has the tip to make the idlis soft………….???????????? You have forgotten to add tamarind in Sambhar, which is heart of the recipe. Shilpa….I have not gone through ur site fully…so excuse me if I am repeating one of ur recipes.While making Idlies….you can use Suji rawa…thicker type. (not lapsy)….U-dal 1+1and1/4 Suji rawa.Dal should be ground as per your instructions.Rawa….needs to be roasted on a slow flame….to slightly brown….cool it…..then place it in a muslin cloth and steam it the way u steam idlies…cool it.Add water or the water used for cleaning mixi (after grinding dal–Ragde uddak).Mix it to the ground dal add salt mix well. Consistency is same as your aata.AND KEEP aside till it ferments…Only DIFFERENCE here is WHILE PREPARING IDLIES DO NOT MIX THE AATA.START FROM THE SIDES and place it in Idli vaties…. these are going to be very soft…fluffy and light to digest. I tried the chutney. It was delicious. Thanks for the recipe. yummy looking pics..I came here to lookup sambhar recipe…and noticed the idli recipe..In my opinion the dal Vs Rice ratio is a bit wrong. I use 4 cups idli rice (also called boiled rice) : 1.5 cups whole urad dal. this gives very very soft n fluffy idlis..and they look a lot whiter too.. using Whole urad dal really helps. you can reduce the amount..but 4:1.5 is the base ratio. Hope you give it a shot. they were gray in color I guess because of the Urad and they tasted sour! I tried this recipe for sambar, it is too good and very fast and easy to prepare… Thank you…. Next day, with a bit of the left batter, I tried the tip of adding a spoonful of oil to the batter. With oil, while the tops of the idlis looked a bit uncooked the idli was super duper soft, felt moist while eating and came out of the mould lot easier. prepared idli for the 1st time ever! with no help from mom or MIL!! did everything you listed. baked it for 10 min. and it was a lil ravia-ish. i thought i ll never cook idlis.. but it turned out to be less baked. so the next ghana was bake d for 15 min. turned out nice. thanks a ton for this recipe. one thing, it became hard by evening. why ?? Did they get fermented well? I have purchased a large bag of Idli rice, but my wife and I can only eat so many idli and dosa. What would be some other uses for this rice? How are you ? I regularly follow up your recipes. I read your recipe of idli. I make idlies from the dry flour of urad dal 1 kg and ukda rice 2 kg, grind them then take 250 gm flour out of it and then fermentate for 12 hrs. After that make idlies, Idlies was good, pores, softy but the problem is some smell is coming from the idlies just like vegetable oil and the taste also comes different. so i do not get why such smell is coming from the batter and how should i get rid of that smell. Can u please give me suggestion as soon as possible. Yesterday I make the dosa batter and leave for hole night in the morning it get fermented and I make the dosa but tasted sour is it my dosa is damaged or bed bacteria came on my batter. If the batter is fermented more, it becomes sour. You can still use it.